PRINCETON, N.J.–This month marks the four-year anniversary of protests over the police killing of Michael Brown in Ferguson, Missouri, an incident met with a heavily armed police response that stoked widespread concern. While proponents say militarized police units enhance officer safety and prevent violence, critics argue these tactics are targeted at racial minorities, and diminish trust between citizens and law enforcement. A study published by Jonathan Mummolo, assistant professor of politics and public affairs at Princeton University, reveals that militarized policing is ineffective in decreasing crime and protecting police, and may actually weaken the public's image of the police. Mummolo tested several claims about the costs and benefits of militarized policing using a combination of administrative crime and officer safety data, records of when and where militarized police units were created and deployed, and survey experiments. He found that militarized policing does not lead to less violent crime or less violence against police officers. Seeing militarized police in the news also may harm police reputation, which prior work shows can create obstacles for police efficacy. The study also shows that militarized police units are more often deployed in communities of color. 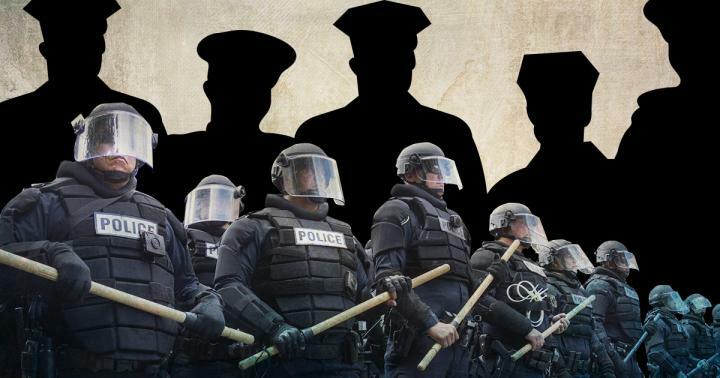 The findings, published in the Proceedings of the National Academy of Sciences (PNAS), suggest that curtailing militarized policing may be in the interest of both the police and citizens. "The routine use of militarized police tactics by local agencies threatens to further the historic tensions between marginalized groups and the state with no detectable public safety benefit," said Mummolo, who is on the faculty at Princeton's Woodrow Wilson School of Public and International Affairs and the Department of Politics. In recent decades, police units have grown more militarized in part due to the "War on Drugs" campaign as well as federal initiatives that supplied neighborhoods with excess military equipment and funds to purchase arms. To understand the effects this has had on policing, Mummolo investigated Special Weapons and Tactics (SWAT) deployments, as the formation of SWAT teams represent an increased commitment to the use of militarized equipment and tactics. For the study, Mummolo built a nationwide panel measuring whether and when roughly 9,000 law enforcement agencies obtained a SWAT team between 2000 and 2008. He also obtained data on every SWAT team deployment in Maryland over a five-year period through a public records request. He chose Maryland as a test case because, unlike other states, Maryland has a statute requiring every agency to record all SWAT activity. Mummolo also wanted to test whether militarized tactics occur more frequently in communities of color. To do this, he analyzed the relationship between the percentage of black residents in a particular geographic area with the volume of SWAT deployments per 100,000 residents. After controlling for social factors and local crime rates, he found that black residents face a more pronounced risk of experiencing militarized policing. However, Mummolo suggests caution in generalizing this analysis beyond the state of Maryland. To estimate the effects of police militarization on crime and officer safety, he returned to the nationwide panel he had built. He compared the deployments of SWAT teams with the number of violent crimes and officers who were killed or injured. On average, the results show that creating more SWAT teams and increasing SWAT deployments had little to no benefits in terms of crime reduction or officer safety. Again, he cautions against overgeneralizing this finding, as it may not apply to each agency. Finally, Mummolo conducted two survey experiments to assess the effect on the public's perception of police when they see militarized police in news reports. First, respondents read a mock news article about a police chief seeking a budget increase, accompanied by a randomly assigned image with either militarized police or traditionally equipped officers. Respondents then answered questions related to perceived crime levels, support for police spending and confidence in police. The results show that citizens react negatively to the appearance of militarized police units in news reports and become less willing to fund police or want police patrols in their neighborhoods. "These results come after a single exposure to militarized images. Repeated public exposure to news items featuring militarized policing may amplify negative views of law enforcement among citizens," Mummolo said. "This is concerning because past research indicates that negative views of the police hinder criminal investigations and are associated with stunted civic participation." While his study found no firm evidence that SWAT teams lower violent crime rates or the rates at which officers are killed or assaulted, the teams are arguably an important tool for violent, emergency situations. "Restricting their use to those situations may improve perceptions of the police among citizens," Mummolo said. The study first appeared online Aug. 20 in PNAS. It was funded by Princeton University, Stanford University and the National Science Foundation.